Christmas is a very religious holiday. The date is the 25th of December. 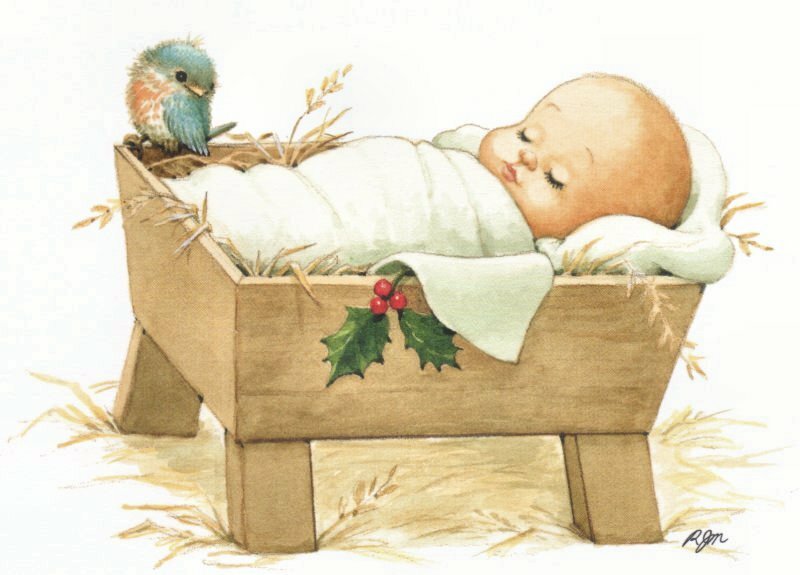 The history of Christmas is when baby Jesus was born. The three wise men came and baring gifts to give to baby Jesus. So for Christmas we celebrate by giving gifts to one another. Some of the symbols evergreen trees, lights, Santa Clause, and baby in a manger. Symbols: Evergreen tree, presents, ornaments, baby Jesus, three wise men, reign deer, sleds, red and green lights. What people do: Most American family put gifts under the tree and give to each other. History: Mary was told by an angel that she was pregnant by the lord. The angel told her to name her son Jesus. 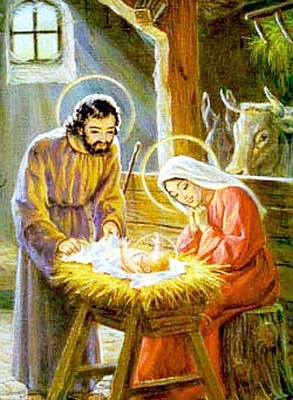 Her and Joseph went to a Bethlehem and all of the hotels were filled up and they had to stay in a barn. Jesus was born in the barn. Jesus was placed in a manger and the three wise men came with three presents frankincense, Myrrh, and gold. This entry was posted on December 3, 2009 at 6:17 pm and is filed under United States Holidays. You can follow any responses to this entry through the RSS 2.0 feed. You can leave a response, or trackback from your own site. Christmas is about when you come together as a family and give presents to one another. It doesn’t matter about what you get it is how your family comes together on that day. Christmas is one of the best holidays of the year, because you get presents. Also on this holiday we have a big break from school. Here in Goodland it is about two weeks long. It is joined with New Years, so we don’t have school then either. Your talking about two different things at once. Your talking about Jesus and Santa Claus at the same time. If you want to talk about Santa make a new paragraph and write about the folklore of Santa. Other then that Reindeer and sleds have nothing to do with Christmas. There are not three wise men. There was three gifts but not three wise men. We do not know how many there are but there was not three. I know it is right because my sister got in a fight with the minister. I disagree with you, Sierra. My background from reading the Bible says that there are 3 Wise Men. I would have to agree with Dax, there are 3 Wise Men. I really do think there was three wise man. From what I read from the Bible and what I learn when I was young. So i do disagree with you Sierra. I disagree with you too Sierra. Christmas is a wonderful holiday its the best when there is snow on the ground. Christmas is definitely my favorite holiday because I get to see my family that lives out of town and we get time off of school. Christmas is very fun we get almost 3 weeks out of school! We almost always get to see our family. Actually, on the Wisemen debate, there was never a set amount of number of Wisemen. Yes it is believed that there were three because there was 3 gifts brought to the newborn messiah, but no the bible does not give a number of Wisemen that visited the new messiah. There is a 50/50 shot that that there was 3 and that there was not three Wisemen, and again the bible does NOT state that there was a definate three Wisemen, if you find the verse or even chapter where it says that there is 3, i will gladly look it up and if so, i will stand corrected.